If you know anything about Mancala, you probably know that it's one of the oldest board games in the world. Mancala is a basic played all around the world in many different cultures. It actually is a family of games, all sharing a basic set of rules. If you're a board game enthusiast, you're probably wondering about different kinds of mancala board games that are played around the world. There are a lot of cool variations of this classic board game. Here, you'll learn five of the coolest! In all kinds of mancala, you have a board with an even number of holes in it that are arranged in two rows. Each of these holes has small beads or marbles inside which the player picks up. You keep putting one bead in each hole around the board. Once you drop your last marble into a hole, you pick up all the beads in that hole and keep moving them around the board in the same way. You keep doing this until your last bead falls into an empty hole. The object of the game is to clear all the holes on your side of the board and win! People tend to call the most common variant of this Kalah. This is the mancala game that's the most popular with people in the US. 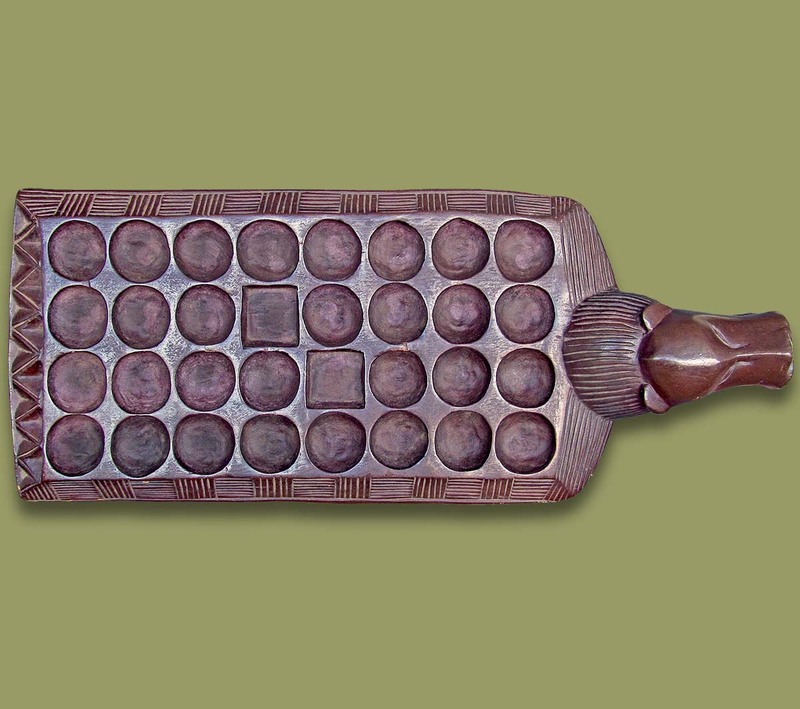 Kalah boards were first marketed in the 1960s and are what has the same gameplay and rules as mancala today. 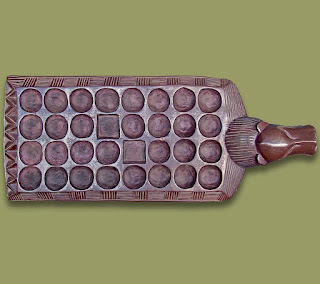 Bohenspiel is one of the earliest variants of mancala. The word "bohenspiel" means "bean game," and it is from Germany. This term probably comes from the fact that it was a pit and seed game here. In bohenspiel, you want to bring the total number of seeds in a hole to two, four or six. Unlike in Kalah, all other of the previous holes that have two, four, or six beads are captured, too! If you want to hear about a really interesting mancala game, think about Eson Xorgal from western Mongolia. In this game, there are 10 holes (known here as cups) rather than Kalah's twelve. It's also traditionally played with goat droppings- not your average board game! In this mancala variant, your goal isn't to clear the board, but instead to capture more droppings than your opponent. In most mancala games, pits are owned by specific players, but not in this one! Oware, from Ghana, is also a really interesting mancala variant. Instead of only having two rows of six holes, Oware has four rows of eight holes for even more fun! Each of the hollows is originally filled with 12 seeds. Players, similarly to in Kalah, take turns alternating between themselves to fill the holes and distribute the seeds. Like in Eson Xorgal, your objective is to capture more seeds than your opponent. AyoAyo is a variant that originates in Western Nigeria. In it, the player captures pieces from the opposite cell from where they finish rather than the one they end in. But before you prematurely think this game is difficult, you should know that players need to have entire opening sequences for the game memorized before they play, so this game has a whole different element of difficulty! Enjoy Playing the Mancala Board! As you can see, there are a lot of fun variant of mancala that you can try. Since mancala is really a lot of different games in one, you're sure to have a lot of fun trying out different types and finding out which mancala board is your favorite! Now that you know all about the different types of mancala, you might want to check out this link to see why mancala is the coolest board game of all time!